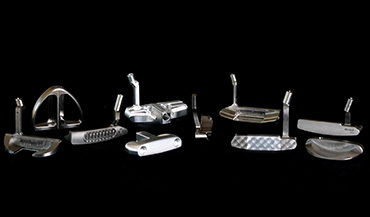 Origin Golf is a milled putter design and CNC machine production studio. We turn ideas into conceptual designs and fulfill production based on the needs and desires of each individual client. Kevin Peterson, owner of Origin Golf, has been exclusively milling fine putters for almost 20 years and has produced a greater variety of styles than probably anyone else in the industry. He offers focused service for each of his clients and they appreciate the rare talent and experience he possesses. From the designing and prototyping aspects, to the precise quality of the finished machined products, Origin Golf offers matchless quality and experience in milling high-end golf putters. 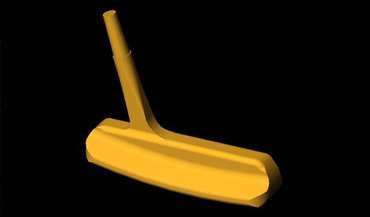 Computer models, from simple to high complex assemblies, allow clients to see their product in a 3D view, allowing them to discover the weight of the finished putter in various materials, which is critical in the golf industry. Prototypes are available as quick and inexpensive SLA plastic models to exact functioning milled models. 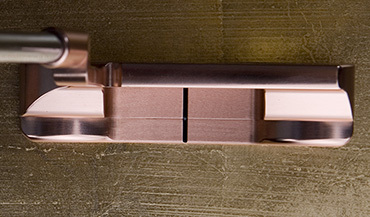 Milled putters can be produced using a variety of avenues including 100% milled designs from a block of material, milling from forgings, and/or castings. Our passion for technology keeps us current with the latest performance methods and our experience with high-end putter production is unmatched in the industry. 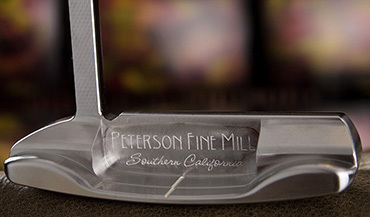 Every detail is flawlessly milled from the putter itself to the engraving and face mill design work. We are located in one of the largest golf manufacturing areas in the world and work closely with other vendors who serve in finishing the product, making the production process seamless from start to finish.